When we here the name Colonial Candle it makes us imagine ourselves in a wood cabin somewhere snowy with a blazing fire and lots of blankets and comforting stuff; like the perfect winter/Christmas scene. Balsam Wreath – A Holiday pine that radiates with a mix of iced douglas fur, spruce, and rich balsam. Joyful Noel – Let the holiday spirit fill the air with sparkling green freshness and a hint of lavender. Sparkling Snowflake – An irresistibly refreshing fragrance of smooth white chocolate and the frosted joy of sweet peppermint. Crimson Festival – Crushed cinnamon stick and ground nutmeg dazzle with a hint of crisp apple and roasted chestnut. Emerald Fir – A festive swirl of ground cinnamon, peppered clove and darkened maple. Scarlet Amaryllis – Feel the magical enchantment of winter with the combination of bergamot flower, iced raspberry, and citron zest. Sparkle – Shimmer in luxury with a blend of ultra soft velvet, silk, and glistening silver. Winter Woods – Stroll through the woods, boots crunching in the snow, and the air filled with the scent of pine trees. They offer a beautiful (and huge)assortment of handcrafted soy candle products, we’re at bit obsessed with them here at V&L. Witch City Wicks was established in 2010 and they truly enjoy the process of making candles from start to finish; handling every step in the process, from making the candles, label creation, packaging and anything else that comes with the territory. Quality candles are very important at Witch City Wicks. All of their candles are hand-poured and made from 100% all-natural soy wax, fragrance, colour dye and lead free cotton wicks. The safest, maximum amount of high quality fragrance oil is added to their candles to ensure that everyone gets the best-smelling and longest-lasting soy candles. Witch City Wicks have a whole lot of amazing scents out for Christmas, the foodie ones in particular sound to die for! Amaretto Egg Nog– This creamy eggnog is a holiday warmer of sweet almond and vanilla. Blue Spruce– A strong pine scent that’s reminiscent of a winter walk in the woods. Christmas Hearth – Create a cozy environment with orange spice notes, fir and pine notes and a touch earthy smokiness from the fireplace. Cranberry Balsam – Get into the spirit with wonderful blend of cranberry with fresh greenery of balsam fir. Gingerbread– Warm vanilla and spices for a fresh-from-the-oven gingerbread cookie scent. Holly Berry– This combines a balsam fir and cinnamon body with top notes of tart berries and plum. Merry Mistletoe – A blend of citrus, blue spruce, and frosted cranberries create this perfect holiday scent! Peppermint Bark – A mouth watering combination of dark chocolate with a punch of peppermint. Pine Cones– Captures the unmistakable scent of a fresh cut pine bough and pine cone wreath. Fragrance of balsam and patchouli combine with natural spruce and cedar oils to instantly put you in a holiday frame of mind. Sugar Cookie– Fresh baked, buttery cookies right from the oven. 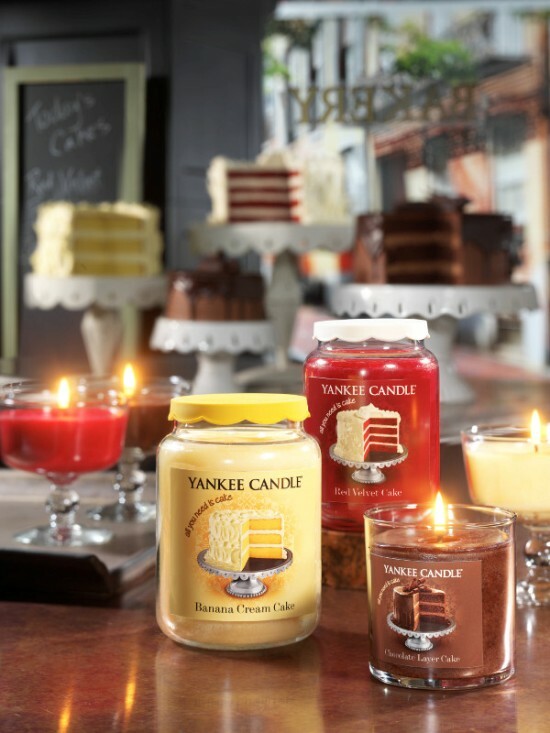 Ok see now we’re hungry LOL, and want all those candles. They all sound fabulous right?! It’s a Milk and Cookie Christmas! The Milk and Cookie Candle Company have some amazing goodies and candles out for Christmas. Seriously we just love them and their amazing Eco-friendly and fabulous candles and wax melts. These would make amazing Christmas presents for yourself or for a loved one. Butter Rum Raisin – Buttery top notes, sweet vanilla cream, plump, ripe raisins blended with spiced maple, brown sugar and dark rum. Christmas Spirit – This scent embodies the spirit of Christmas. Notes of apples, balsam, oak, fir and pine on a bed of cinnamon and clove. Cookies for Santa – Just like fresh baked sugar cookies.. Cozy Christmas Cabin – Comforting aromas of a warm country cabin on Christmas…Fresh baked Christmas cookies, pine and peppermint candy canes. Cranberry Happiness – Perfectly tart and sweet. Egg Nog – The classic scent of Christmas Egg Nog. Frosty Snowflakes – Peppermint candy canes, vanilla and frost. Gingerbread Cookies – Smells like fresh baked gingerbread men…spicy and sweet! Gingerbread Latte – Wonderful notes of gingerbread, wrapped, in a latte, with hints of espresso and vanilla. Grandma’s Old Fashioned Apple Pie – Cinnamon, apples, spices and crust..with hits of fresh macintosh. Holly Jolly Christmas – A truly Grinchy scent of Hollyberry, Evergreen, and Mountain Laurel, sugar plums, a touch of cinnamon and clove..and more. Oh Christmas Tree – A truly wonderful, fresh outdoors scent of a freshly cut Christmas tree. Pumpkin Latte – Latte scent with notes of spicy pumpkin pie..and dark vanilla essential oils. Pumpkin Pie – Yummy pumpkin pie, with all the spice, and buttery crust. Santa’s Pipe – Smoky tobacco leaf with a touch of sweet honey with background notes of leather, cedar wood, cherry wood and vanilla bean. Sugar Plum Fairy – Whimsical and sweet; sugared plums and clove, with dash of cinnamon and vanilla. White Cranberry and Cedar – Wonderful notes of fragrant rich cedar and fresh cranberries. Nothing will make your home feel more festive and warm than having a comforting and yummy candle burning away while your tucked up inside.